Sheikh Saud al-Mojeb issued a statement describing the detentions as “merely the start of a vital process to root out corruption wherever it exists”. 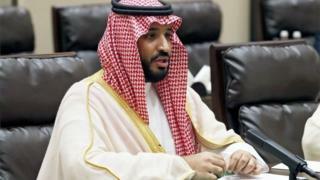 News of a major purge of Saudi Arabia’s business and political leadership emerged on Sunday. “I have great confidence in King Salman and the Crown Prince of Saudi Arabia, they know exactly what they are doing,” he tweeted. “Some of those they are harshly treating have been ‘milking’ their country for years!” Mr Trump added. These are heady and unpredictable times in Saudi Arabia. The Arab world’s richest country is undergoing seismic changes almost unprecedented in its 85-year history as a sovereign nation. Sheikh Saud al-Mojeb’s statement on the progress of the investigation spoke of “phase one” being complete. “A great deal of evidence has already been gathered, and detailed questioning has taken place,” it continued. The update on the corruption probe came as the authorities continue to investigate a helicopter crash near Saudi Arabia’s border with Yemen. For the past two-and-a-half years, Saudi Arabia has been leading a coalition that is supporting Yemen’s internationally-recognised government in its war with the rebel Houthi movement.